Today is my favorite day of the year. 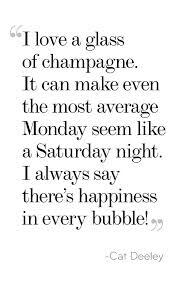 No, it’s not my birthday — it’s Global Champagne Day. Which might as well be my birthday. It’s one good thing — perhaps the only good thing — about the month of October, and I plan to celebrate. Some people consider December 31st to be GCD; however, they are wrong. December 31st is New Year’s Eve, and while lots of champagne is consumed on that day every year, champagne does not share the limelight with the last day of the year, with the giant mirrored ball dropping, or any such nonsense. Champagne stands on its own. 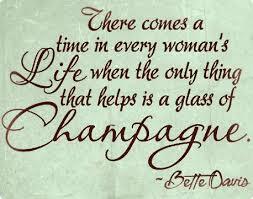 Sheesh, the fact that it’s Global Champagne Day proves that. It’s not even in the same league as National Shrimp Day or National Lost Sock day. One of my friends at the gym heard me talking about GCD and asked — in all sincerity — if I made it up. 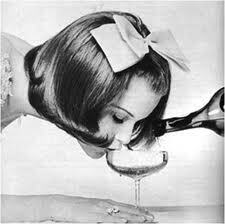 As if I would fabricate a global movement just to have an excuse to drink champagne. As if I need a reason. Sheesh. 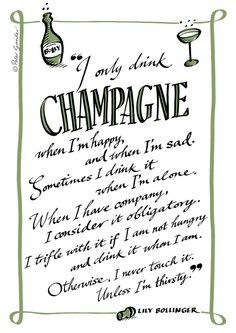 In honor of my favorite beverage on my favorite day of the year, here are some of my favorite quotes. 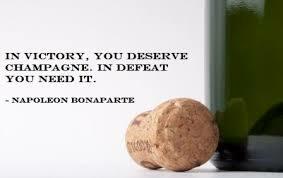 I’d love to find bigger images of these quotes (all from googleimages.com) but am in too big of a hurry to pop a cork. Perhaps there is a way to edit the sizes right here on my computer screen, but again…time’s a wasting and I gotta get to pouring. 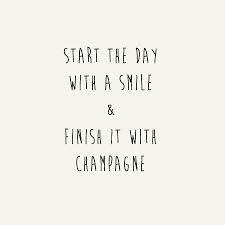 I gotta work on that “start with a smile part.” The “finish with champagne” part — I got it covered. I couldn’t agree more with Napoleon. And that guy knew a thing or two about defeat. Drink up, people. It makes no matter if one is happy, sad, alone, with others, thirsty or sated. 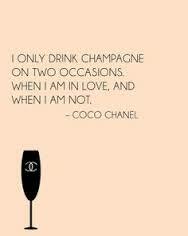 Champagne is just right for every occasion. Promise. 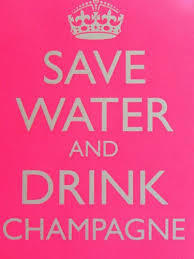 I like to drink water along with my champagne, so I can keep drinking the bubbles without fear of waking up with a headache. It’s called The Water Course, and anyone who has raised a glass with me knows I swear by that practice. A little tip from me to you. You’re welcome. Dance away, folks. 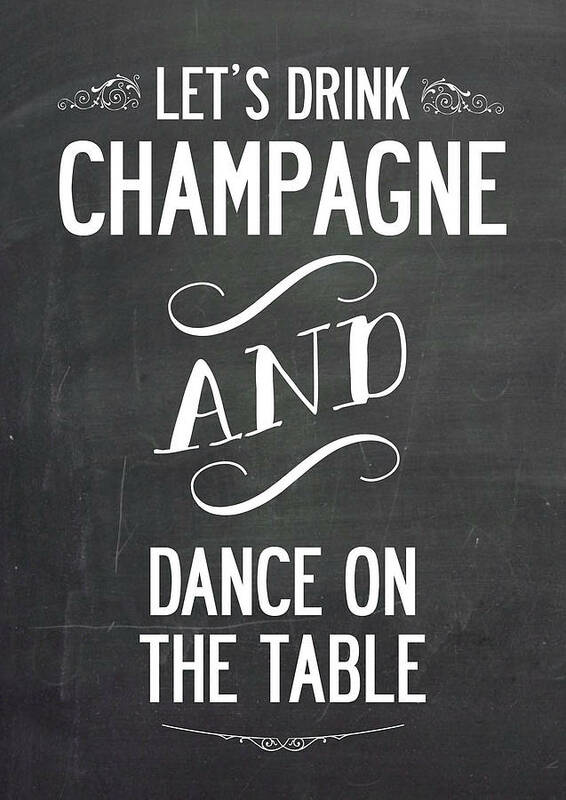 Just don’t spill your champagne. 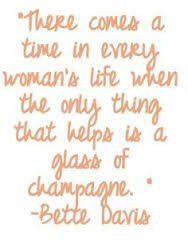 I have this Bette Davis quote framed and hanging in my bathroom, where I see it every day. Most of the times I see it, it makes me thirsty. I have no clue who Cat Deeley is, but he or she is wise. Very wise. 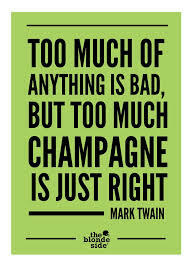 Allow me to reiterate: champagne is just right for any occasion. Preach on, Mark Twain. Preach on. 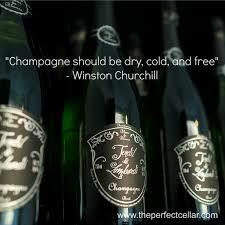 Oh, Winston Churchill! 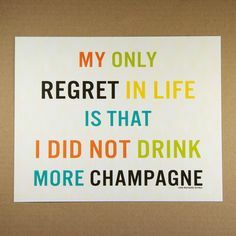 Why oh why didn’t anyone listen to you and institute a free champagne policy? Seriously. It does not matter what the question is. I know the answer. Don’t let this happen to you. I’ll raise a glass this evening. Cheers! Just a quick question. Do you like champagne? PS Cat Deeley is a she – a TV presenter from the UK – just so you know. The only good thing in October? My birthday is in October, and so is Ed’s for that matter. 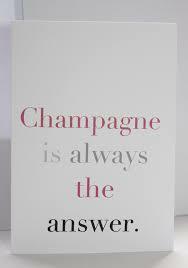 Come to think of it we had plenty of champagne at both occasions so cheers anyway.